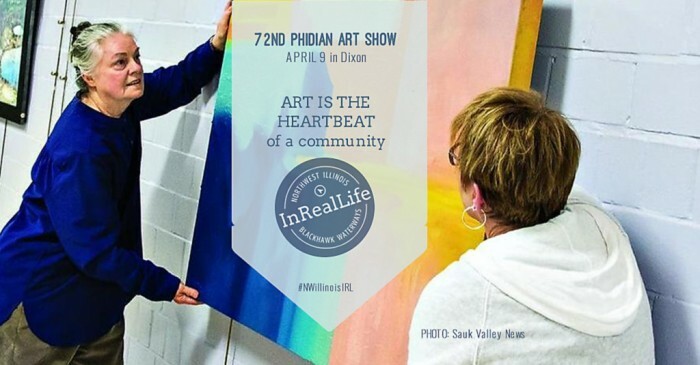 The Phidian Art Club sponsors the 72nd Annual Phidian Art Show on April 9th, at the Loveland Community Building located at 513 W 2nd St in Dixon. The show is open to artists living within 35 miles of Dixon, IL. The show opens to the public at 6:00 p.m., with the awards presentation, judge's critique, and reception beginning at 7:00 p.m. Admission is free. Artwork remains on display in the lower level of the Loveland Community House through May 3. Approximately $3,500 in prizes are donated by local businesses and individuals. Loveland House hours are Monday-Friday from 8:00 am to 4:00 pm and on Saturday from 9:00 am to 2:00 pm.